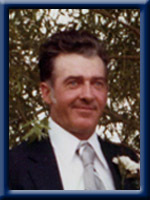 Nass, William Hayden, 74, of Caledonia, Queens County, passed away on Tuesday, December 13th, 2011, in South Shore Regional Hospital, Bridgewater. Born in Harmony, Queens County, he was a son of the late Wilfred and Viola (Martin) Nass. Billy loved hunting, fishing and boating with his family on the Mersey River and Lake Rossignol. He worked for over 25 years tending the Mersey Gate in Lake Rossignol. He was a well known CB’er, throughout Canada and the United States, going by the handle, the Gate Keeper. He is survived by his loving wife Marion; son Joseph (Sandra), of South Brookfield; grandchildren Kayla, Shara, Alicia; sister Barbara McDonald, of Hebbville. We were sorry to hear of bill’y passing . Pls accept our heartfelt sympathy at this difficult time. We will remember Billy from the times we camped and fished at Rossignal and how he never would tell us where the best fishing holes were.. So shocked and sad to hear of Billy’s passing, Our thoughts are with you and your family marion. Billy and I went to kempt school at the same time, he will be missed by all who knew him. RIP ,Billy,. So sorry to hear of Billy’s passing. I had heard he wasn’t well but I know it is still a shock. Please accept my sincere sympathy to all and you are in my thoughts and prayers during these difficult days. Marion & family, we were saddened to hear of Billy’s passing. Our thoughts and prayers are with all of you at this sad time. We remember all the weekends spent with you and Mom & Dad at Rossignal. They were good times. Joey, we are so sorry to hear about your dad’s passing. We will keep you in our prayers. We were sad to hear of Billy’s passing. Please accept our sincere condolances. Dear Marion, Joey, Sandra and Grand Children; What a shock, we never realized Billy was sick. He was the best snow plow operator we ever hired to plow out our yard! Please take comfort by reading the text at John 5:28,29. It speaks of the resurrection awaiting your loved one. Our sympathy to you all. Del and Mary. We are so sorry to have read about the passing of Billy. Clark and I really enjoyed the visits we had together. Clark enjoyed the chat’s with Billy on the CB as well as the fishing tales. It was a pleasure to have met a family such as yours. We want to express our deepest sympathy…you are in our thoughts and prayers.